These infections are usually colds. Each cold with cough lasts for an average of 6 days but can last for up to 2 weeks. A normal, healthy child who coughs in conjunction with a cold, for less than 4 weeks, does not usually need to be examined by a doctor, unless the child has other symptoms. 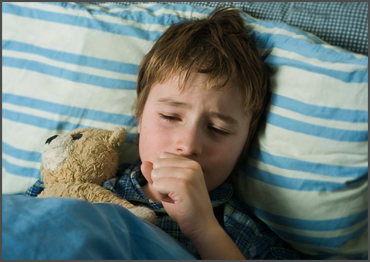 Why is my child coughing at night? Nighttime Cough. Lots of coughs get worse at night. When your child has a cold, the mucus from the nose and sinuses can drain down the throat and trigger a coughduring sleep. ... Asthma also can trigger nighttime coughs because the airways tend to be more sensitive and irritable at night. What helps a child's cough? Push liquids. Warm or very cold liquids thin out mucus, making it easier to coughup. Plus, liquids soothe a raw throat and keep kids hydrated. Have your child drink ice water, cold or warm juice, or decaffeinated tea mixed with honey. 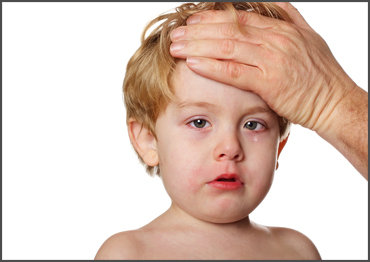 Because allergic rhinitis and chronic sinusitis are two of the most common causes of a child's cough, they are often considered first. We ask detailed questions about the patient's nasal symptoms to help determine whether allergies or a chronic infection may be the source of the problem. •	Children with allergic rhinitis sneeze frequently, tend to have clear mucus drainage from the nose, and may have itchy eyes. •	Chronic sinusitis, by definition, involves more than 12 weeks of symptoms. 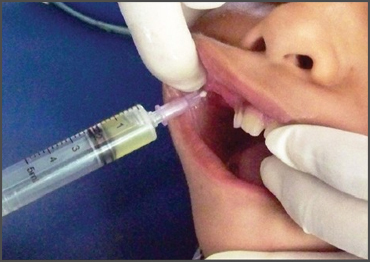 Children may complain of pain or pressure in the face, and always have thick, yellow-green nasal drainage. Both allergic rhinitis and chronic sinusitis often lead to post-nasal drip.The secretions that drip down the back of the throat as the child changes position can cause a cough. So often parents will describe a cough that is worse when the child first lies down at night. We also listen to the cough for clues. In many cases, a dry cough can suggest that it's related to an allergy or asthma. A wet or productive (phlegmy) cough can sometimes indicate a problem other than asthma, like pertussis, mycoplasma or pneumonia. 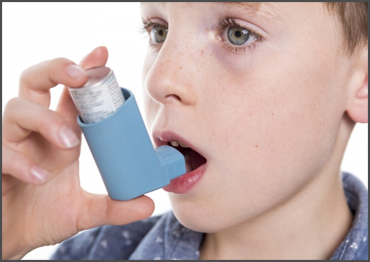 Wheezing, or breathing with a whistling or rattling sound in the chest, it what most people think of when they hear asthma. Asthma can present with a chronic cough as the only symptom however. When doing diagnostic investigations for a chronic cough reversible airflow obstruction on a pulmonary function test can be used to diagnose asthma that presents with cough as the only symptom. 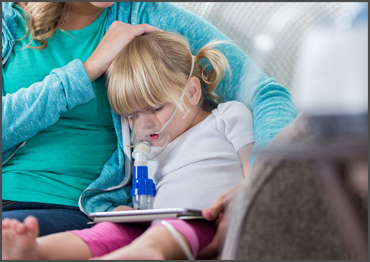 A cough that is present after a child falls asleep is suggestive of asthma. With asthma, the body's levels of cortisol — a key hormone — naturally decrease during the night. This can trigger asthmatic bronchospasm, where the air passages become inflamed and narrow. Pertussis, better known as whooping cough, is caused by a bacterial infection. Pertussis can cause people to cough so uncontrollably that they have to catch their breath by inhaling so deeply they make a "whooping" sound. A cough from pertussis could last for months, and complications can be serious, including apnea (not breathing), decreased oxygen, pneumonia, seizures and death. In some cases, complications may require hospitalization for supportive care (possibly including mechanical ventilation in serious cases). Because complications can be life-threatening in children, it is recommended that adults protect their children by getting vaccinated (in addition, of course, to making sure children get the vaccine as part of the recommended vaccination schedule). In rare cases, a continued cough may be a sign of a more serious condition such as cystic fibrosis, a progressive genetic disease that causes persistent lung infections. A cough that doesn't go away can be cause for concern especially when a child also is eating voraciously and not gaining weight. Other symptoms of cystic fibrosis may include loose stools, persistent coughing, recurrent respiratory infections, prolonged symptoms of bronchiolitis (inflammation of the smallest air passages of the lungs), and recurrent/chronic rhinosinusitis (swelling and irritation of the sinus lining). Coughing that occurs while eating or drinking — especially if the child a history of recurrent pneumonia — could be a sign of aspiration. Aspiration occurs when swallowed food or liquids pass below the level of the vocal cords and into the lungs. Aspiration can be due to vocal cord paralysis, or other neurologic conditions that cause decreased sensation in the upper airway. If your doctor suspects aspiration as the cause of chronic cough, your child may be referred to see a speech-language pathologist. The speech-language pathologist will perform an instrumental swallow assessment, such as a video fluoroscopic swallow study (VFSS) or a flexible endoscopic evaluation of swallowing (FEES). Acid reflux does not cause chronic cough by itself, but it can exacerbate and worsen cough in patients with underlying respiratory disease. Stomach acids are produced to help digest food and are not meant to move upward from the stomach into the esophagus (the canal that connects the throat to the stomach), but when it happens it can trigger a cough reflex. Reflux-related cough is typically a dry cough that happens more during the daytime when a child is in an upright position. It occurs commonly after eating and with excessive phonation (i.e., laughing, singing, talking). Certain foods (caffeine, citrus fruits/juices, foods high in fat, tomatoes, pickled vegetables, carbonated beverages) can trigger acid reflux, which can worsen reflux-related cough. In some cases, chronic coughing could be a sign that a foreign object has become stuck in the child’s airway. 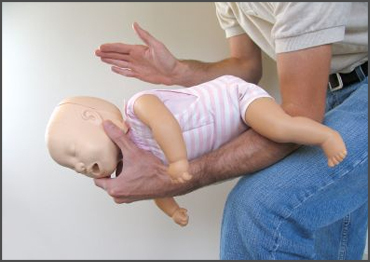 After a choking event, there is an asymptomatic period that can last up to two weeks before complications, such as pneumonia, begin to appear. If your child has a chronic cough that develops after a choking event, seek medical care immediately. Sometimes a cough will develop in response to an irritant in the airway, but persist after the original cause has resolved. Habit coughing is typically "honking" in nature, and it's distractible — if the child is preoccupied, the cough will disappear. The cough is also not present once the child has fallen asleep. 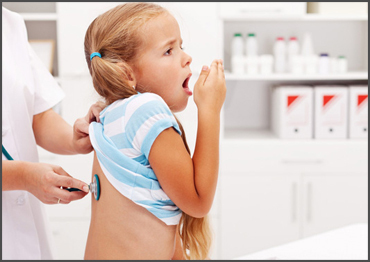 If other causes of chronic cough have been ruled out and habit cough is suspected, speech and behavioral therapy can be helpful in retraining the child's abnormal reflex. Giving the child sips of water when he or she feels the urge to cough can also be a helpful therapy.